Architect Xiral Segard created ‘Gayalux’ interior lamp in Paris, France. 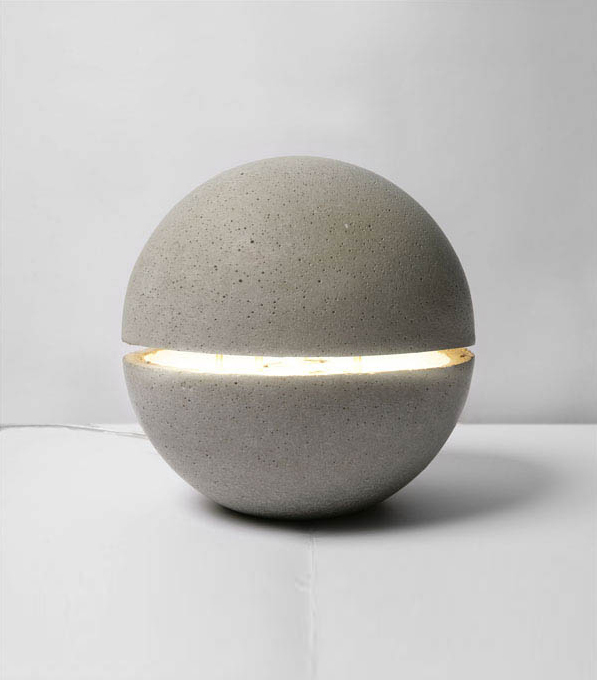 The concrete Gayalux lamp is both sculptural and luminous. This mineral ball is anchored to the ground and it appears to levitate with a streak of light passing through it. Concrete turns from architecture to objects. The block becomes curved like skin.